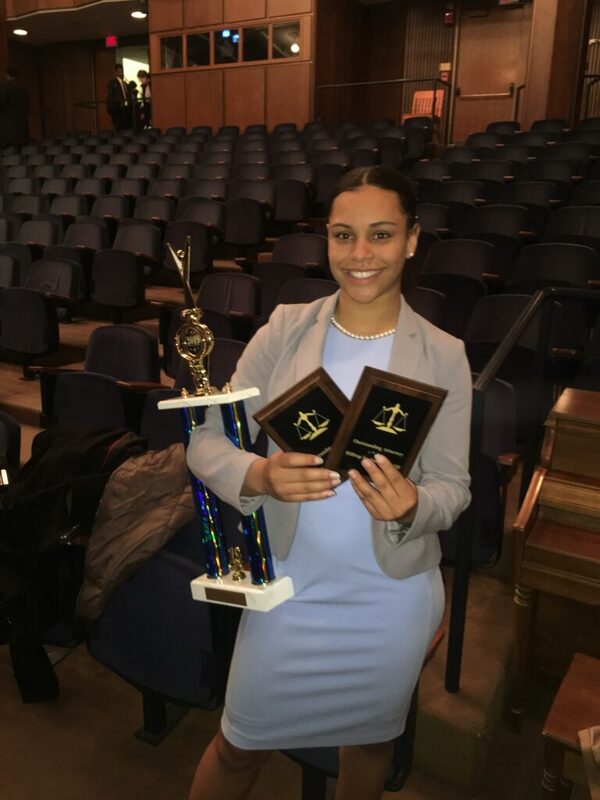 UMBC Mock Trial took first in late January at Georgetown University’s 8th annual Hilltop Invitational Tournament, with UMBC’s A team finishing undefeated at 8-0. 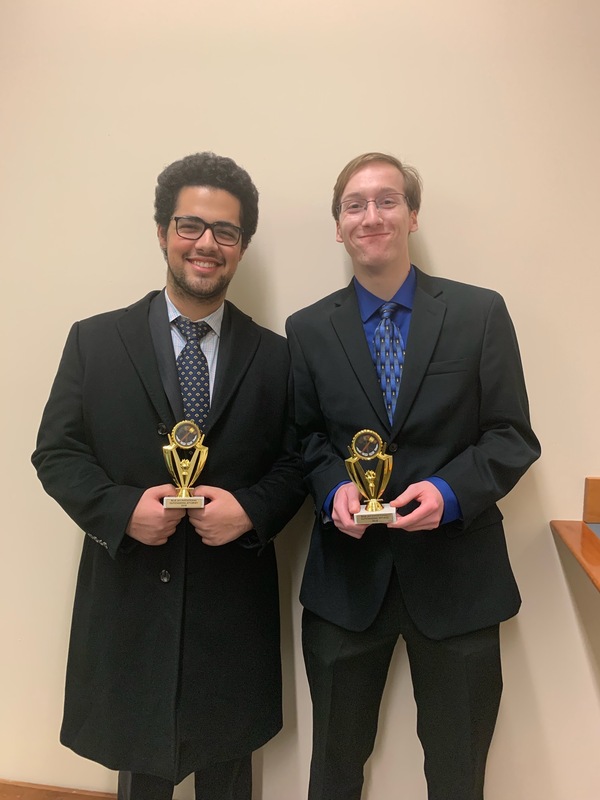 On the path to tournament victory, UMBC bested teams from George Washington University, Fordham University, and Hamilton College. 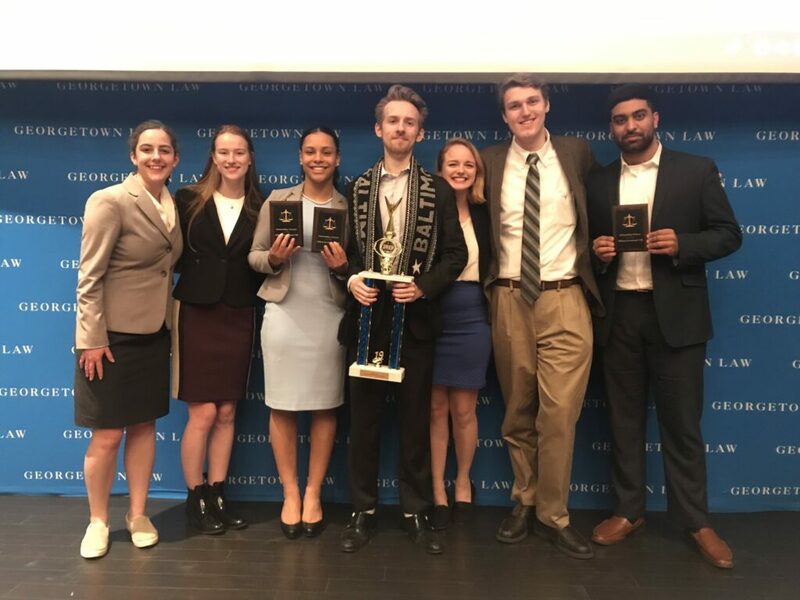 The team scored over 100 points above competitors, including former national champions Yale and UVA, who scored second and fourth place respectively. 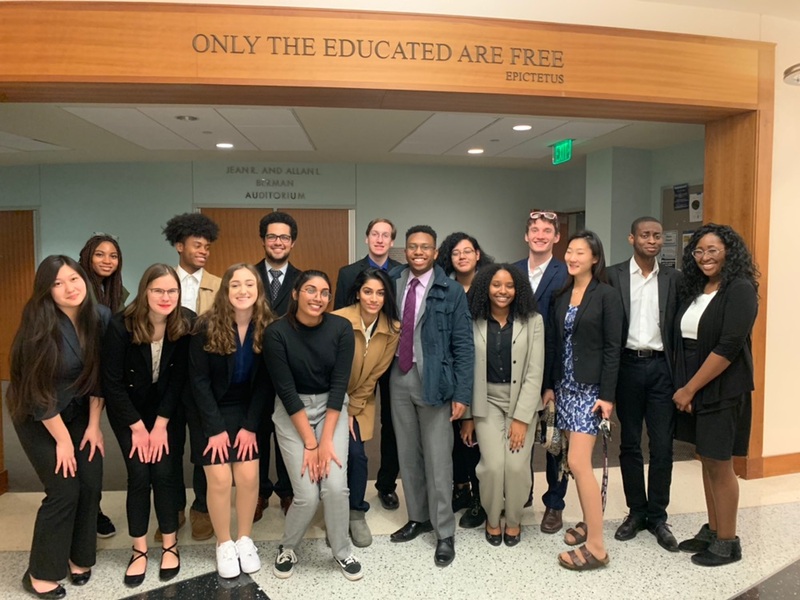 UMBC Mock Trial A team win at Georgetown. Banner Image: UMBC Mock Trial trophies by Marlayna Demond ’11 for UMBC. All other images are courtesy of UMBC Mock Trial.